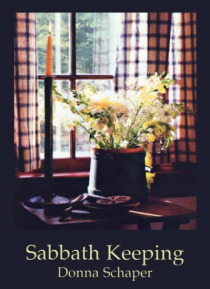 The third in Cowley's Cloister Book series, Sabbath Keeping is a collection of ten meditations, each exploring a different aspect of keeping the sabbath and ending with a prayer. Since it is a difficult art in a society that does not value rest, Schaper encourages small acts of sabbath keeping that initially focus on physical and mental renewal but soon broaden to questions of justice and power.Sh… e begins with a chapter called "e;What is Sabbath? "e; and goes to the Bible for definitions, from the ordinances surrounding sabbath in the Hebrew Bible to the gospel stories about the Sabbath. Other meditations concern sabbath and music, sabbath and the body, prayer, focusing and decluttering, sabbath and memory, sabbath as the relinquishing of power, and sabbath as an act of resistance.